Filice, Michelle. "Richard Hunt". The Canadian Encyclopedia, 16 November 2016, Historica Canada. https://www.thecanadianencyclopedia.ca/en/article/richard-hunt. Accessed 23 April 2019. ​Richard Hunt is a Kwakwaka'wakw (Kwakiutl) artist (born in 1951 in Alert Bay, BC). Richard Hunt is a Kwakwaka'wakw (Kwakiutl) artist (born in 1951 in Alert Bay, BC). He is the son of Thunderbird Park (BC) master carver Henry Hunt and brother of fellow carvers Tony Hunt and Stanley Hunt. He is the grandson of distinguished Kwakwaka'wakw carver Mungo Martin and great-grandson of Kwakwaka'wakw ethnographer George Hunt. As an apprentice to his father and master carver, Henry Hunt, Richard Hunt began working at the Royal British Columbia Museum’s Thunderbird Park in 1973, where he and fellow artists helped to restore and preserve Indigenous artwork in the park. Upon his father’s retirement in 1974, Richard Hunt became the Thunderbird Park master carver. 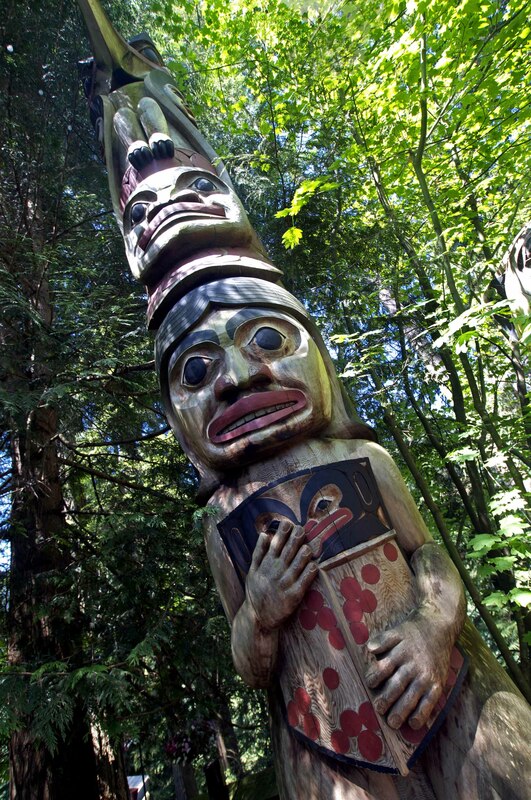 Richard’s early work included a 25.9 m pole that he carved with his father and artist John Livingston (see Totem Pole). 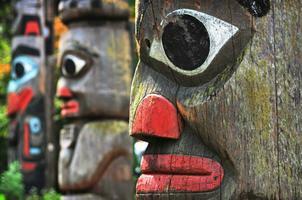 He also created pieces of art that are found in front of the Royal British Columbia Museum. In 1984, artist Tim Paul succeeded Richard Hunt as the Thunderbird Park master carver. Hunt left the Royal British Columbia Museum in 1986. Richard Hunt has created a diverse body of artwork, including serigraphs, engraved jewellery, wood sculptures and ceremonial works. One of his best-known sculptural works is the 11 m long Nuu-chah-nulth whaling canoe, carved in association with Tim Paul and Eugene Arima. This canoe was first displayed at Expo ’86 in Vancouver, BC. 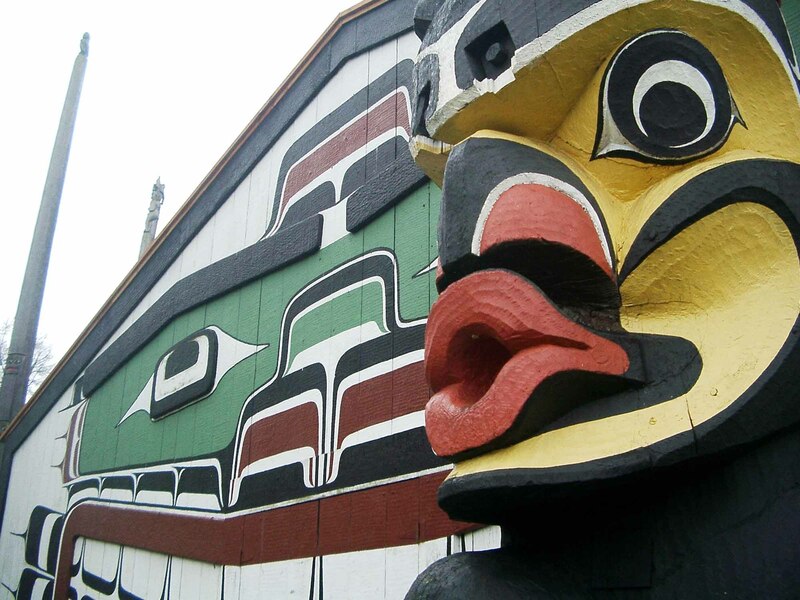 Richard has also carved a number of sculptures with Tim Paul, including a 4.5 m totem pole in a museum in England to commemorate the 200th anniversary of James Cook’s arrival on Vancouver Island, a 10.6 m totem pole for the CBC headquarters in Vancouver and a 7.6 m pole for the Southwest Museum in California. Maintaining the work of his grandfather, Mungo Martin, and his father, Henry Hunt, Richard and Tim Paul traveled to England in 1985 at the request of Queen Elizabeth II to repair and repaint the totem pole created by his relatives and presented to her in 1958 by the province of British Columbia. Hunt continues to produce artwork and exhibits his work internationally. A distinguished artist, Hunt received the Order of British Columbia in 1991 and the Order of Canada in 1994. RICHARD HUNT’S ARTWORK Learn more about Richard Hunt and view images of his artwork.